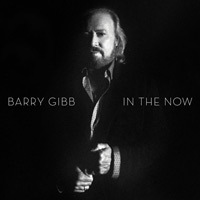 Barry Gibb's first full solo album since 1984's Now Voyager sees Barry exploring numerous different styles and musical sounds (including rock, psychedelia, country-rock and disco), and generally succeeding. So let's start with the basics. Barry's voice (which, let's face it, has changed over the years as he has aged) is superb. There is so much wisdom and battered life experience in that voice and it is still so strong. In some ways, this is really exciting to me as a listener, and I really want to hear what an artist of this calibre can do as it opens up so many opportunities for Barry that as a younger artist he could not realistically achieve (at least not himself - but he could always give songs to people like Kenny Rogers who had that range, which is exactly what he did!). In parts, the musical accompaniment is a little too perfect and could have done with a few flourishes. At times the musical backing and production sounds like a demo, like it could have done with a bit more work. Technically faultless, I am sure, but needing a bit of a kick. But that is not the case with all the tracks. A case in point is the sumptuous Springsteen-influenced ballad 'Home Truth Song', which has a rich, multilayered production which makes the song a genuine adventure for the listener. I can listen to it again and again. I can do the same with 'In The Now' and the truly remarkable 'Meaning of the Word'. Some critics have suggested that Barry should have focused on one thing instead of letting himself go. This displays something of a misunderstanding of Barry Gibb as an artist. He has simply never done that. It is what makes him one of the most magnificent artists of the modern music era. Listen to Bee Gees albums such as 'Odessa' (1969), 'Size Isn't Everything' (1993) or 'This Is Where I Came In' (2001) and you will see what I mean. So if you are reading this, Barry: don't listen to these critics. Keep changing. Keep moving forward. And keep delivering us albums like 'In The Now' for many more years. Why Buy In The Now?